All of Sunday's big hello! Надеюсь на выходных вы не только отдыхаете от рабочей недели, но и в блог заглядываете! I hope the weekend not only do you relax from the work week, but in the blog look! У меня сегодня совпали две публикации в качестве Приглашенного Дизайнера! И это здорово и всегда приятно, когда тебя признают, что уж тут скрывать! Today I matched two publications as a guest Designer! And it's great and always nice when you recognize. Ну и для начала я вам покажу открытку для челленджа AAACards! Замечательный челлендж-блог с интересными заданиями, жаль я не всегда успеваю участвовать, но я обязательно исправлюсь! 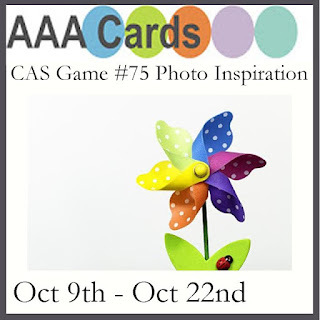 Well, to start, I'll show you a card to Challenge AAACards! 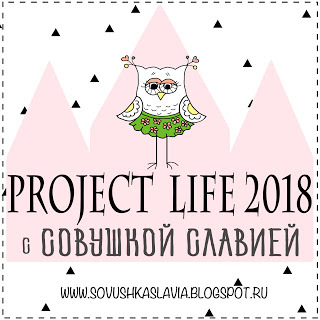 Wonderful Challenge blog with interesting jobs, sorry I do not always have time to participate, but I will definitely be corrected! И на сегодня задание #75 - это фото вдохновение вот такой картинкой! And today on a game # 75 - is a photo inspiration here is a picture! Я сразу немножко растерялась, так как с вдохновением по фото я работаю редко! И картинка такая яркая и летняя, а все мысли уже заняты Новым Годом! Но то что получилось в итоге мне очень очень нравится! I'm just a little confused as to the inspiration for the photo, I rarely work! And the picture is so bright and summer, and all thoughts are occupied New Year! But what happened in the end I really like it! Вот такая сочная, динамичная и графичная открытка! Here is a juicy, dynamic and the graphics card! По работе все не так сложно. Вырубила ножом от MFT прямоугольную панель. С помощью белой пудры и техники горячего эмбоссинга я нанесла белые точки, как на картинке. Воспользовалась для этого штампом от Altenew "Snowing", с каждым разом удивляюсь и радуюсь его универсальности! Далее аккуратно распределила сегменты, закрывая их малярным скотчем, а затем тонировала их с помощью чернил разных оттенков. Получился этакий "цветовой круг", в моем случае - прямоугольник. Затем добавила баннер, пайетки и дропсы в качестве акцентов! At work it's not that difficult. Die to cut down on the rectangular panel MFT. With the help of a white powder and hot embossing techniques I struck the white dots, as in the picture. Taking advantage of this stamp from Altenew "Snowing", each time the wonder and rejoice in its versatility! Next, carefully distributed segments, covering their masking tape and then tinted them with ink of different colors. The result was a kind of "color wheel", in my case - a rectangle. Then add the banner, and sequins and drops as accents! Вот так не выходя за грани стиля Clean and Simple можно создать яркую и довольно насыщенную открытку! Попробуйте и Вы!!! Уверенна, что у Вас получится! 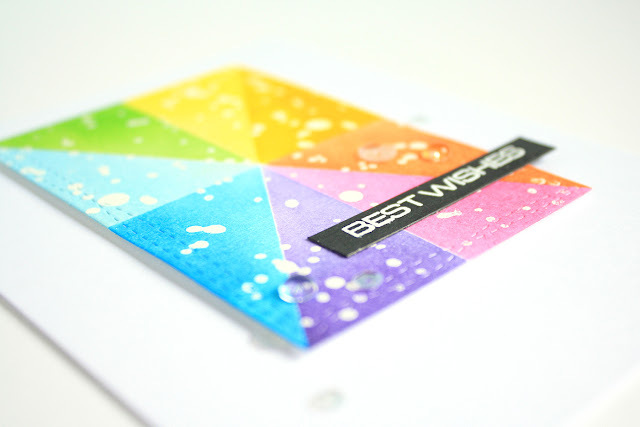 So without going beyond the limits of style Clean and Simple, you can create a bright and pretty saturated card! Try it and you !!! Confidence that you will succeed! Sandie, I was pleased to participate in this beautiful setting! Thank you so much! Absolutely gorgeous, Katerina! Thanks for being our Guest designer at AAA Cards. :) I truly love your card. Katerina, This card is fantastic! It is such a perfect take on the inspiration. I love all the inking and the splattering and that gorgeous white space around the graphic. So glad to have you as GD at AAA! Thank you for your wonderful contribution to this challenge! X Stephanie, DT. Thank you very much for such an assessment of my work! Stunning card, love it! Thanks for being our Guest Designer for this challenge. Thanks for being our guest designer, your card is stunning! 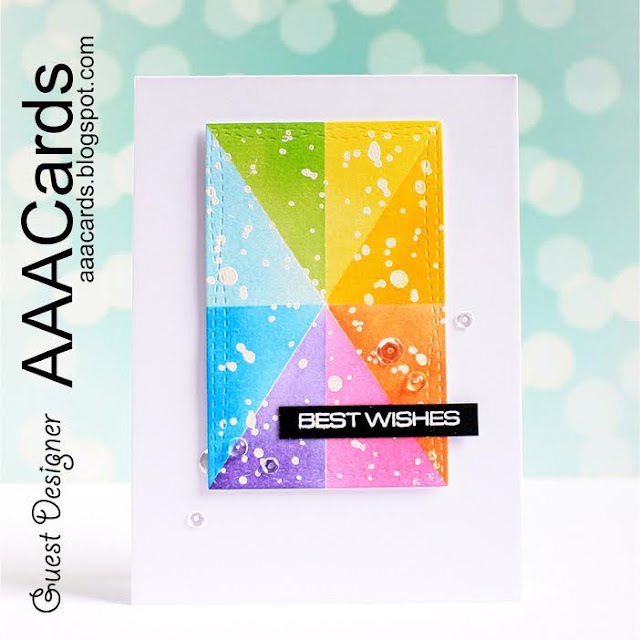 I love your card full of bright and vibrant colors ! Very gorgeous take of the inspiration photo ! And congrats for being the guest designer ! Thanks for sharing. Thanks so much for guesting at AAA. WOW i'm floored by your card. SO CLEVER. And so so pretty. Please keep coming back to inspire us.